The Honda HR-V is among the most popular vehicles in its class. Its aesthetic style and impressive performance combine to make it a coveted crossover SUV. A new, sportier grille comes on the 2019 HR-V as well as available all-wheel drive, LED brake lights, and 17-inch alloy wheels. And that’s just what’s on the outside. 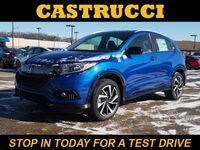 Modern technologies like Apple CarPlay, Android Auto, Honda LaneWatch™, HondaLink®, and an automatic electric parking brake hold all help the interior of the HR-V be as practical as possible. Learn more about this crossover below. Each trim level of the 2019 HR-V comes with a 1.8-liter inline four-cylinder engine powered by 141 horses. This engine puts out 127 pound-foot of torque at 4,300 rpm. Drivers can expect to average up to 34 highway mpg*, 28 city mpg*, and 30 combined mpg*. 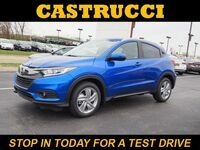 In addition to the technology side of things, HondaSensing® comes on the 2019 HR-V and it includes a suite of safety technologies. A Collision Mitigation Braking System™, lane keep assist, adaptive cruise control, and road departure prevention are all included with HondaSensing® to make your drive as safe as possible. 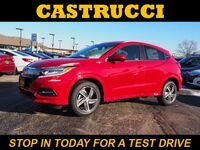 If you’d like to learn more about the 2019 Honda HR-V and these innovative technological features, come down to Matt Castrucci Honda in Dayton and talk to our sales staff. We will answer any other questions you have and go over all the details you need to know. 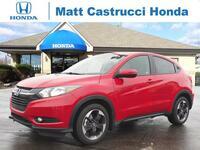 Come down soon and take this crossover for a test drive!